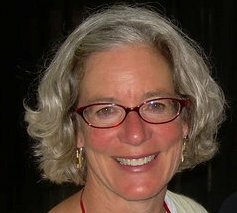 Susan Starbird is a strategy professional who consults to leadership teams working on social change initiatives. Her leadership and support help multidisciplinary, multicultural teams discover, create, explore, and reach decisions together, primarily in the sectors of public health, public policy, education, social justice, and economic/environmental sustainability. After an early career in journalism, she made the leap to public relations and advertising with Silicon Valley and San Francisco advertising agencies. She launched her own marketing communications firm in 1983, which evolved into a specialized social marketing consulting and teaching practice in the nineties. Specific strengths lie in participatory planning and creative deliberation; synthesis and writing; multi-channel communications strategies; and project/program management. She has an MBA and a BFA. In addition to being an experienced and skillful behavioral marketing consultant and college professor, she is an essayist, kayak racing coach, and public access wonk (among other things). Information about these other facets is at www.susanstarbird.com. Email for the most current resume.